Those who know me know I can get up on my stump about why reading matters. When I walk down the row of an airplane these days and see ninety-five percent of adults watching movies and playing games, I feel worried about the world. When we read, we expand our worldview. We experience life in ways we never have before. We see relationships we don't have, cultures we don't share, problems we might never have considered. We grow as people. We understand others better. I truly believe that reading helps students to develop empathy and understanding for others. And that is what this post (and the free resource linked in just a moment) is all about. I am excited to be part of a collaboration with a group of wonderful bloggers that really care about helping students in three very important areas: empowerment, equity, and empathy. Though my focus here is generally on creativity in the classroom, I believe we can bring our creative abilities as teachers to this very important task. As the group's Facebook mission states, "Now, more than ever, nurturing EQUITY, EMPATHY & student EMPOWERMENT is crucial for our students." I couldn't agree more. Think about some of the books you've read in your life that have had a profound impact on your worldview. Chances are they are not all nonfiction. When Matthew died in Anne of Green Gables, my favorite childhood book, it was the first time I cried over the loss of a fictional character. I was so sad for Anne and Marilla, and for myself too, over the loss of such a kind, caring, quiet man. Though I had never known anyone quite like him, or lived on a farm, or been to Canada, I felt so connected to the experiences of that (fictional) family. When we identify with characters and take on their problems and joys as our own for a while through our reading, we grow. We change. I believe this to my core. As teachers, what can we do to help bring this out in our students? How can we gently guide them to empathize when they cannot relate? It was this question that drove my imagination while creating the free printable resource I made for you as part of the 3Es collaboration this weekend. I wanted to make an activity you could use with any work of literature, to help students look inside a character not for plot points and character analysis details, but to try to really understand how that character feels. In the end, I created a graphic organizer. 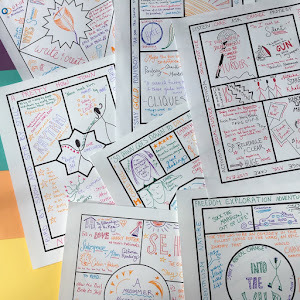 It's essentially a mind map in which students can draw, write, quote, doodle or otherwise represent what is going on in the head of the character they choose, guided by some prompt categories to help them get going. My hope is that by thinking deeply about the different categories, students will be able to walk in someone else's (fictional) shoes. 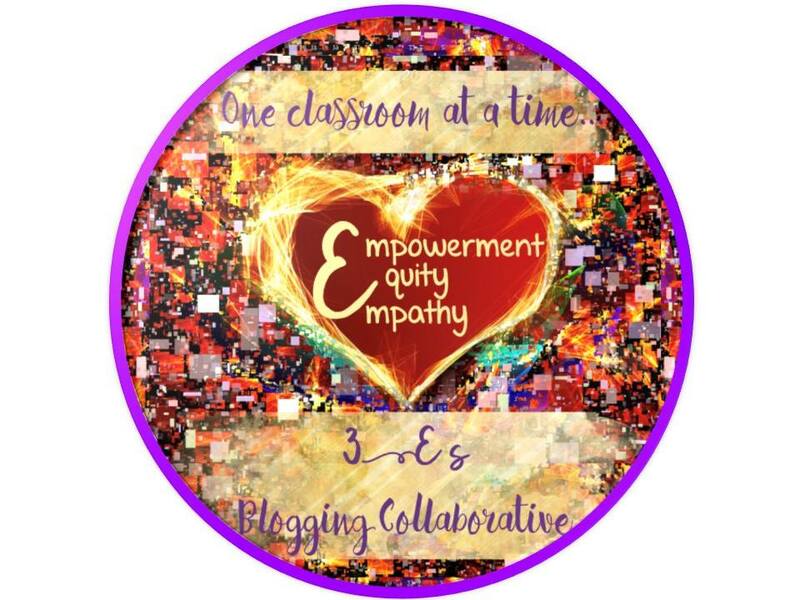 You can pick up this resource here, in the drive where the 3Es Blogging Collaborative shares all their free resources. And if you continue to the bottom of this post, you will see links to the posts (and free resources!) created by all the other Equity, Empowerment & Empathy collaborators starting Saturday night at midnight. I encourage you to go check them all out. 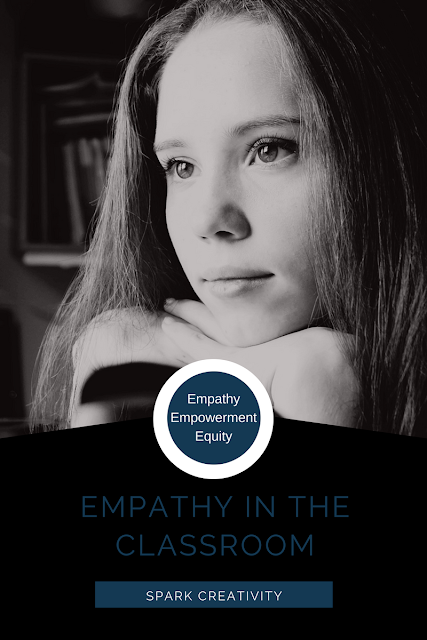 Finally, I'd like to take a moment to write about one more way to look at empathy in the classroom. 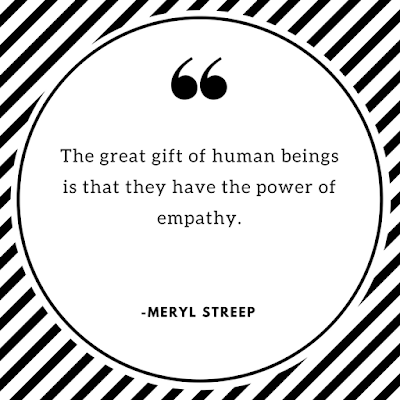 Whether we are focused on literature, poetry, acting, grammar, writing, performing, slamming or something else, we as teachers have many opportunities every day to empathize with our students. I watched a video interview with Brene Brown the other day about boundaries, empathy and compassion. The bit that stuck with me the most was when she talked about all the ways she used to feel frustrated by the people in her life. Then one day someone asked her, "What if everyone is just doing the best they can?" This simple statement changed her entire worldview. When we assume that everyone around us is doing the best they can, it is so much easier to be patient, empathetic and compassionate. I remember when I was in kindergarten and a boy in my gym class literally threw me against a wall during our folk dancing lesson. I was FURIOUS. After school, I was even more FURIOUS when my mom started talking about how that boy probably had a really hard time at home for one reason or another. "Can't you just be on my side?" I fumed to my mother. But looking back, I know that she was right. That boy did not get much joy out of school. Every day was nothing but trouble for him. Maybe he was just doing the best he could. Maybe he didn't have the loving family at home that I did. It's not always easy for me to empathize with the students in my life. Sometimes I am exhausted and they are not helping. But the more I get to know them, ask them their stories, learn about their worldview the way I want them to learn from the characters we read, the more I understand them. The more I empathize. I was looking through my brown leather journal from my first year of teaching last week when I stumbled upon a poem I wrote partway through the year. I had had a guest speaker in to talk about "13 Ways of Looking at a Blackbird," by Wallace Stevens, and he had asked students to write their own version, "13 Ways of Looking at _______." I loved reading their poems. That night I wrote one of my own. And though I've never really shared it with anyone before, now seems like a good time. Because in the end, though it gives a big nod to the stress I felt as a new teacher, it's about empathizing with my students. for teaching on the internet. of my world and my students'. but that sounds so pointless. me but I think it is. instead of obsessing about the future. instead of knowing who I am. So really I'm seeing it through my eyes again. ready to step back into the ring. And I am now in tears. Thank you for this heartfelt post, but most of all for your poem. As a fellow poet, I read it- wishing I had written it-and knowing that I could have because I have felt as you have felt. 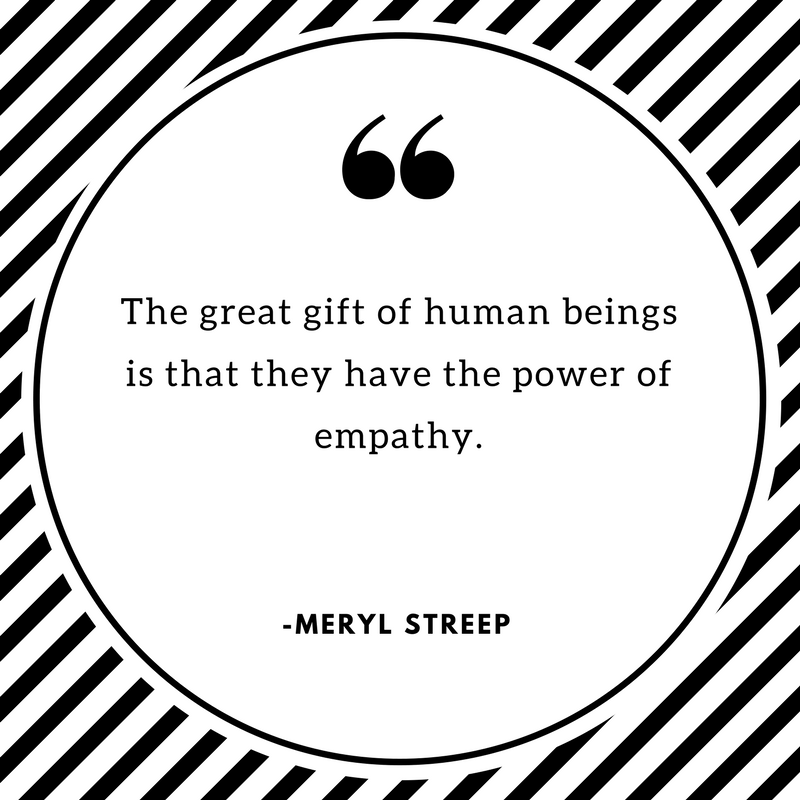 You're right about reading and empathy. So right. Teaching our students to understand that their classmates (and peers, friends, family members, teachers, neighbors) are doing the best they can is one of the greatest gifts we can give them! I appreciate SO many things about this post, but this idea is the one I appreciate most. Thank you for sharing!